Google’s Gmail spam filter is making it even easier to make sure you only get the email you want.–PC Pitstop. Google’s Gmail spam filter, already one of the best in the email business, has gotten even better. 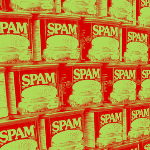 This past week, the company announced that its email filter now uses an artificial neural network to detect and block spam, especially tricky phishing attempts designed to steal your data and logins. According to a rundown on the Official Gmail Blog by Product Manager Sri Harsha Somanchi, less than 0.1% of email that arrives in the average Gmail inbox is spam. Better yet, less than 0.05% of wanted mail winds up being erroneously separated into the spam folder. That’s a rate of less than one per two thousand emails. Techlicious gmail, spam filtering. permalink.